Denys Armstrong died on active service, aged 20, on 3rd October 1916. He was born in Newcastle-on-Tyne in 1895 and attended Bootham School from 1909 to 1912. He played 2nd XI cricket and as goal on the 1st XI football team. He was awarded the bronze Life-saving medal. After Bootham, he studied at Armstrong College. At the outbreak of war he was serving an apprenticeship with Messrs. Swan, Hunter and Co. as a naval architect. In June 1915, Denys joined the 5th Battalion Northumberland Fusiliers and fought in France. He was awarded the Victory Medal and the British War Medal. 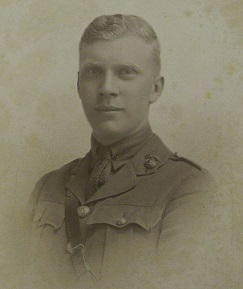 Denys died on the third day of the Battle of Le Transloy on the advance to Le Sars as part of the final British offensive of the Battle of the Somme. Denys is buried at the Warlencourt British Cemetery in France. 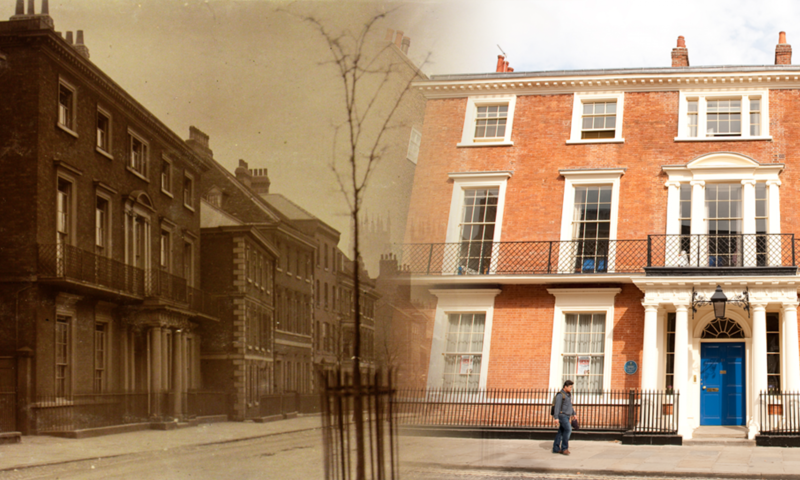 Each Whitsuntide saw the annual meeting in York of the Old York Scholars’ Association, and these meetings are reported in the school magazine “Bootham”. “Whitsuntide 1915. KEW, Richmond-on-Thames, Westminster Bridge, and Croydon are strange place names to associate with the Old York Scholars’ Whitsuntide Gathering. Yet so it was; and the memory of the coloured loveliness of Kew and the silent beauty of the Thames in twilight will long be treasured by those who were there. But the London gathering will be remembered not so much for these or any other outward impressions as for the spirit that pervaded the meeting at Richmond—the sense of appalling need and the imperative call to render peace service in the midst of war. T. Edmund Harvey and Philip J. Baker had come straight from the battle zones of France and Flanders, one from the devastated villages of the Marne, the other from the shattered city of Ypres, and their outline sketches of the relief work going forward under their direction seemed to bring the tragedy home as nothing less personal could have done. Other aspects of war’s cruel battering of humanity were portrayed by Ivy Weston in her picture of Folkestone Harbour invaded daily by crowds of ravenous refugees, and by Florence Barrow in her descriptions of the plight of “enemy-aliens” in this country. Another form of service, less looked for perhaps from the Old Scholars of a Friends’ School, but undertaken in response to the stern call of duty and with entire disregard of personal interest or personal risk, was brought vividly before us by the khaki uniforms of some of our members, by a letter read from an Old Scholar in the trenches, and with peculiar force by the Head Master’s mention of those whose offer of the supreme sacrifice had already been accepted. 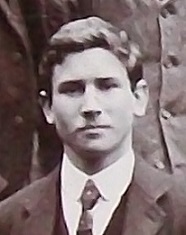 Robert O. Mennell in Senior Class at Bootham, 1900. 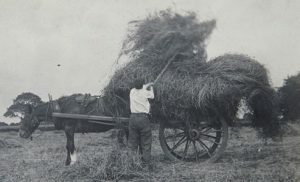 “Whitsuntide, 1916. To be back at York again for Old Scholars was to realise how much we all had lost by meeting- away from the Schools last year. But familiar surroundings were not sufficient to dispel a feeling of unfamiliarity, if not unreality, in all the proceedings. It must have seemed to many that we had come back to York only to find that the heart of things was not there, but in the ends of the earth—anywhere but at York. The explanation was simple. Where your comrades are, there will your heart be also. Our men were out in all parts of the world “on service,” and our thoughts inevitably were much more with them than in the business before us. Throughout the week-end each occasion and each fresh face encountered seemed to send our minds bounding off in search of an absentee, and wondering what particular duty was holding him fast, and what his particular “somewhere” was meaning for him. In no previous year probably have Old Yorkists been so widely separated geographically or in thought; and yet never, perhaps, has the sense of our school motto, “Membra sumus corporis magni,” been so consciously or so fully realised. We know now that neither distances nor differences can injure our abiding sense of unity in the Bootham fellowship and in our common Bootham heritage—the tradition of cleanness of life and conduct, of honesty and of unostentatious obedience to duty. “” I have been thinking,” the speaker continued, ” how extremely valuable and helpful just now the School’s mottoes are—’ Membra sumus corporis magni ‘ and ‘ Ad omnia paratus.’ They seem to have been made specially for this year, for these times in which we are living-. We are all members of a great body, whether we regard ourselves as members of schools or members of a religious society, of the nation or of the Empire, and we may even go so far as to think of ourselves as members of a common humanity. As such we have, of course, great privileges, but as such also we have great responsibilities. I think it must be a matter of great happiness to all of us who are older members of this Association to see how finely prepared for everything many of our younger Old Scholars have been: those who are now working maybe with the Friends’ Ambulance Unit, possibly with the refugees in Corsica, Holland, France, or in England, alleviating the distress of aliens and others, or upholding the freedom that has been our priceless possession for so long, by their sufferings for conscience’ sake. It seems that into whatever service our members have entered they have, in most cases, been prepared for almost everything. James Edmund Clark recalled the meeting at Richmond last year, when the desire to render service during this war time had materialised in the suggestion to raise a fund in the hope that it would reach £2,000 or £2,500 in aid of the various causes in which Friends were specially engaged. “In the appeal which was sent out it was suggested that Old Scholars who wished to do so should indicate to what special activity they would like their money applied. The five objects were: The training of women and men; equipment and maintenance; the War Victims’ Relief Committee work; the Friends’ Ambulance Unit; and the Emergency Committee for the assistance of distressed Germans, Austrians, and Hungarians in this country. Bootham stood behind the Mount in the matter of the number of contributors, with only 160 against 230. Contributions to correct this state of affairs, and to bring the total to £3,000, would still be cordially welcomed.